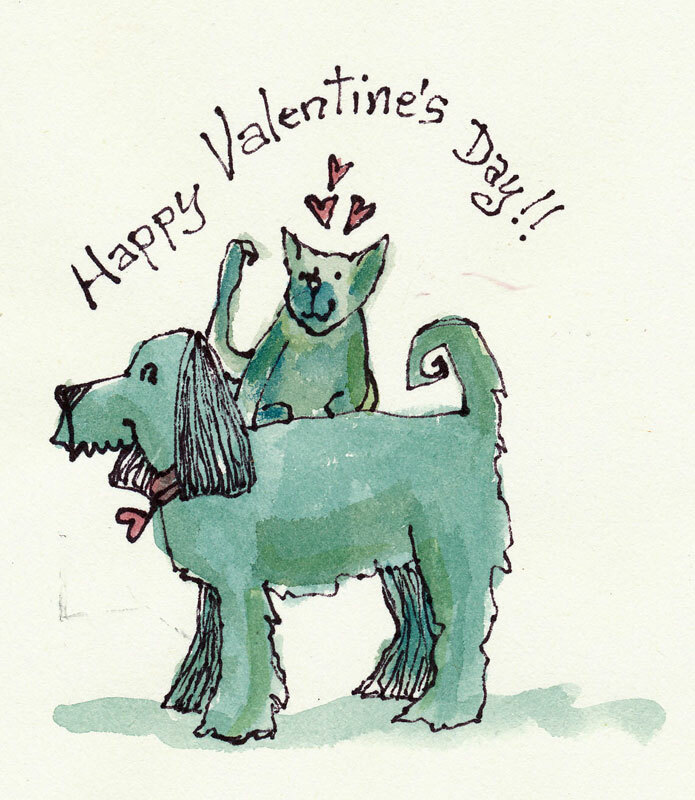 “Happy Valentine’s Day!” (watercolor & ink on paper) #45 Daily Something-2016. This entry was posted in Uncategorized and tagged cat, dog, ink drawing, Linda Kay Thomas, Linda T Snider Ward, Louisiana artist, N.A.W.A. signature artist, small art, Valentine Day, watercolor. Bookmark the permalink.